The Hooner bikejor Package consists of the following items and by purchasing as a package you will get all these amazing products at a very heavily discounted price. Flexible adapter fits below the handlebars and allows you to maintain correct direction and safely run your dog, it also keeps the lead away from the front wheel. One of the lightest and most competitively priced Bikejor arms on the market. Your bikejor line connects in the usual way around the head stock of your bike or scooter and runs along the arm and through the loop at the end of the attachment. Never attach your line directly to any bike attachment. 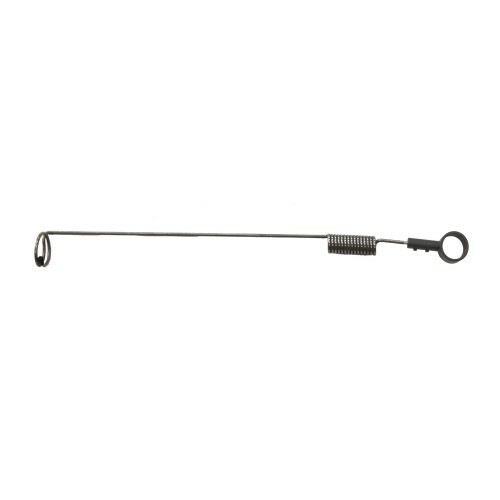 Webbing shock manufactured from 2.5 ton break strain tubular webbing and integral marine grade 8mm shock cord bungee. with removable tug line, Solid Brass hardware additional rope tugs are available to purchase separately. Length stretched 2.5m, this line is modular and very easy to remove a tug section for when you want to run 1 dog on the bike or scooter. Brass clips are also easy to remove and replace when needed. 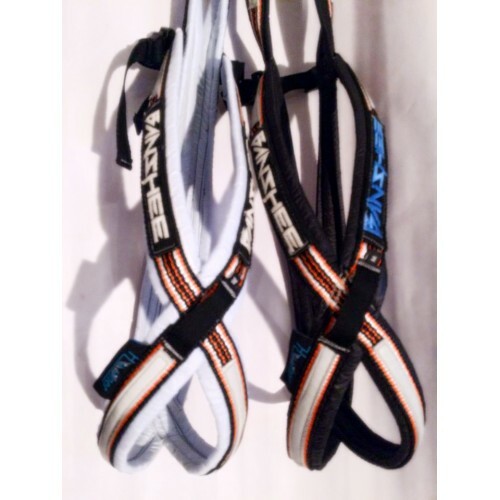 A sleek harness for racing, recreational sledding, and skijoring. This style is excellent for hard to fit and larger dogs. 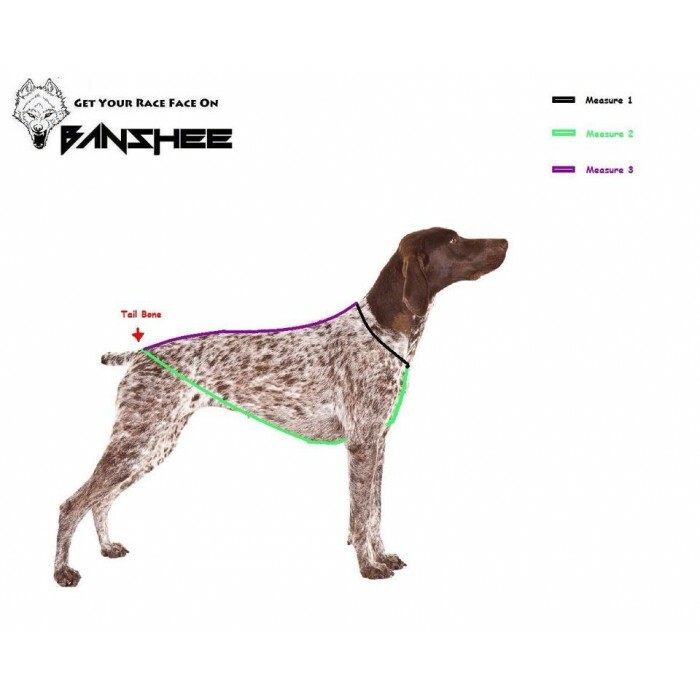 The open back allows the webbing to conform to the dog’s body and directs all pulling force to the shoulders and chest (away from the neck), hugging the body without restricting lung capacity or leg movement (without the material over your dog's back). 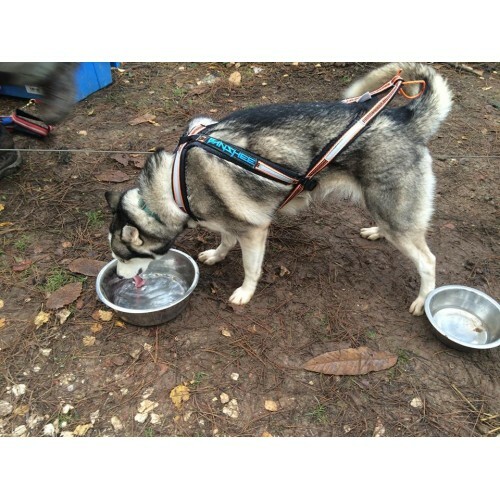 Featuring a removable belly band to keep the harness in place and as a precaution for those escapee's. 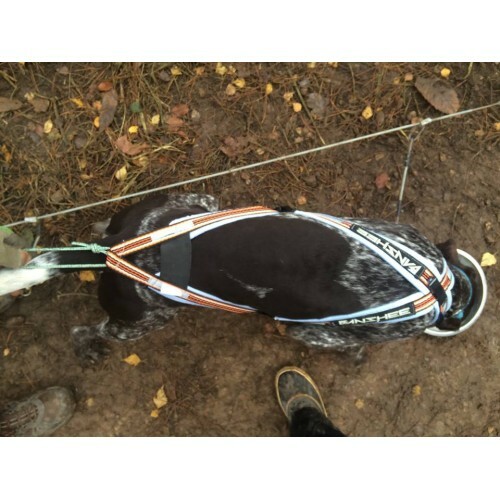 It is the latest in dog harness design from Europe. With hydrophobic closed cell foam encased in rip stop nylon lining, anti rub padding and heavy weight webbing. 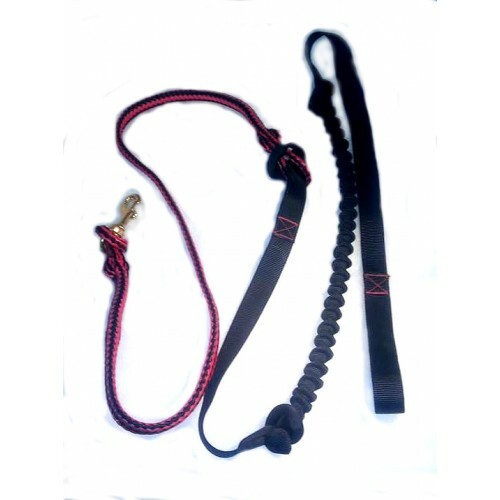 The nylon rope loop on the rear of the harness is used as a point of attachment to the gang line.. Available in many sizes please measure your dog using the measuring guide below and add these to the comments box on checkout.